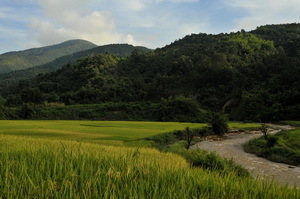 In the one Chinese province of Yunnan alone we’ve found five UNESCO World Heritage sites; 3 natural, 2 cultural plus an additional location on the tentative list. Indeed the fact that China already has over forty inscribed sites with an equal number on the ‘Tentative’ list just emphasizes the total futility of trying to ‘do’ the vast country in a single trip. A brand new entry – only inscribed in 2013 and a personal favourite are the incredible rice terraces of the Ailao Mountains – officially the Cultural Landscape of Honghe Hani Rice Terraces. 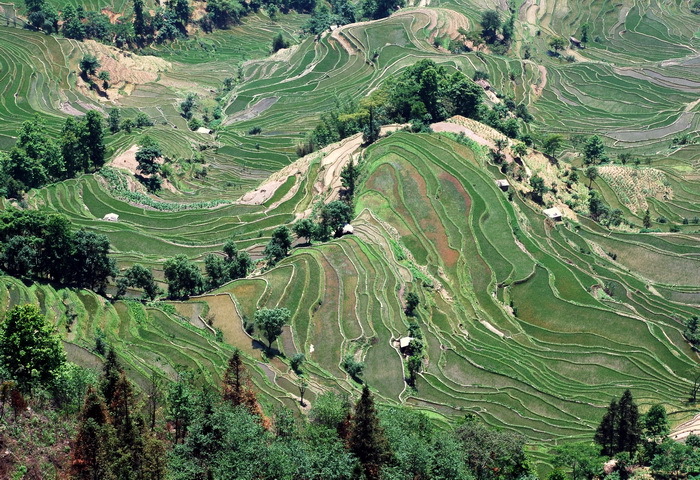 These spectacular terraces have been created by the local Hani, (and Yi? 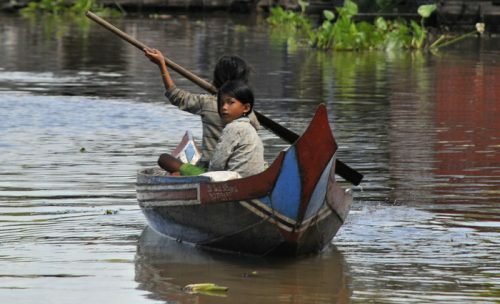 ), ethnic group in the hills to the south of the Red River over the past 1,500 years. Up until now the area was little known and rarely visited by foreign tourists though since the total designated area covers some 1,000 sq kms it should be able to absorb any new influx without too many problems. 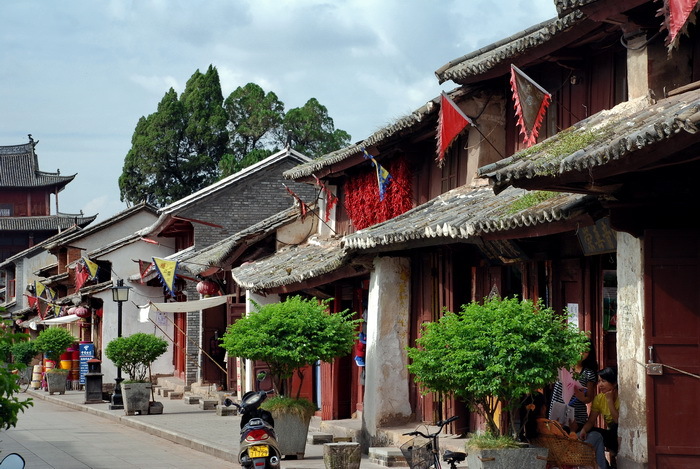 On our Yunnan tours we visit Yuanyang town which combines some of the most picturesque and accessible terrace sites with the fascinating hill-tribe market town itself. 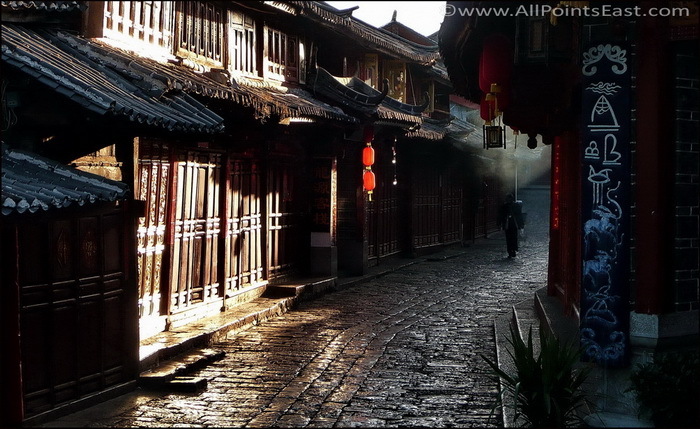 The other, much better known, cultural site is the old town of Lijiang in the northern part of the province. The superb ancient wooden houses, cobbled streets, tiny bridges and streams of the old town have been miraculously spared from both earthquakes and development and are a delight to explore. The region of Dali, another ancient town and former capital of the Nanzhao kingdom, including the picturesque Lake Erhai and nearby ancient towns such as Weishan is on the tentative list and a great addition it would make too. Dali is firmly on the tourist map but beautifully preserved Weishan for example is practically never visited. 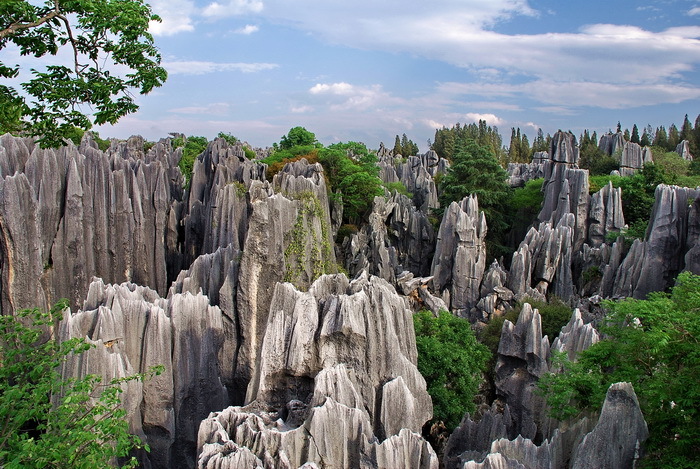 Yunnan’s natural heritage sites include the famous ‘Stone Forest‘ near Kunming – the best known section of UNESCO’s South China Karst entry. Yes the entrance area can get very crowded with local tourists but they rarely venture far and it’s very easy to plenty of quiet routes through the surreal landscape. 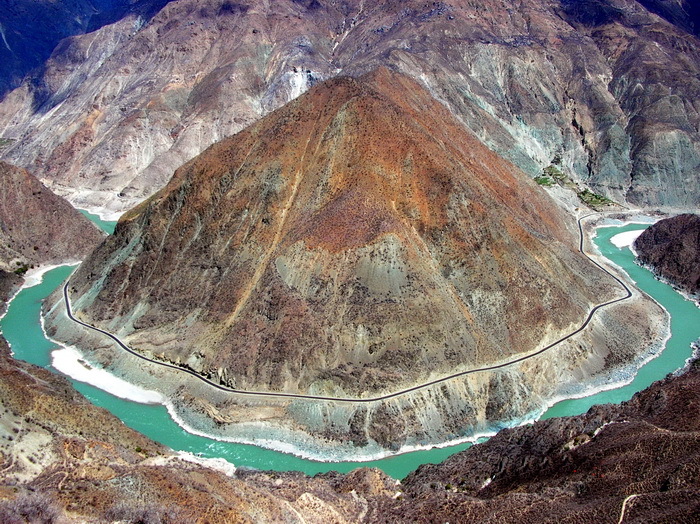 Very different but equally spectacular is the Three Parallel Rivers Protected Area in northern Yunnan with the three in question being the Yangtze, Mekong and Salween, (known locally as the Jinsha, Lancang and Nu Jiang). At this point the famous rivers run close together through deep and, yes, parallel, gorges making for some dramatic scenery as well as possessing a hinterland of unique and high biodiversity. Back to Kunming for the third site, the Chengjiang Fossil Site a few kms out of the city. Whilst a worthy site it is perhaps of limited interest to the casual observer and far more fun for the average tourist is the Lufeng Dinosaur Museum to the west of Kunming City. Not bad for just one province! 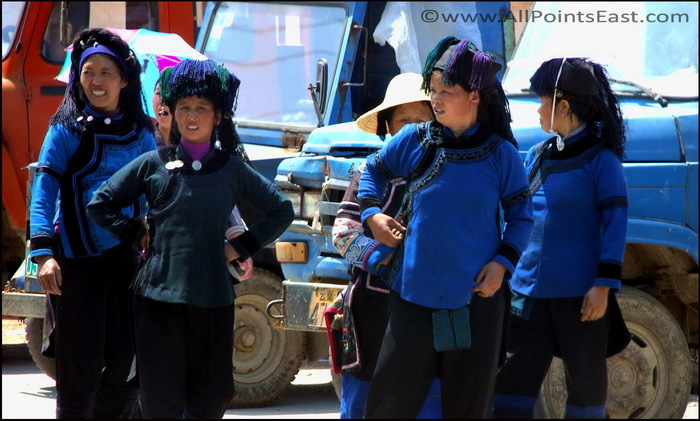 All our Yunnan tours can be found at this link.